The exact number of monuments to Lenin, established during the Soviet period is unknown. The leader’s bust was first made on Feb. 19, 1919 by a sculptor called Georgi Alekseyev (it was later erected in Petrograd). 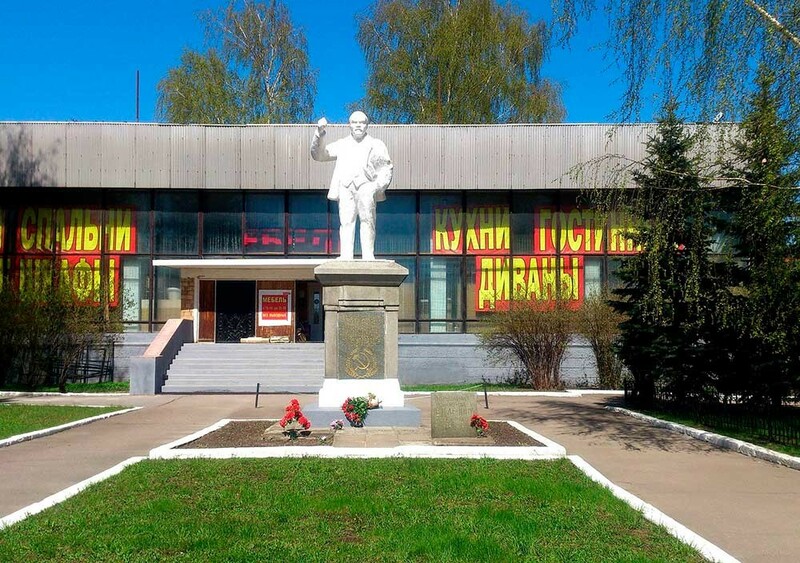 Officially, however, the first monument to Lenin is considered the sculpture erected in Noginsk (since it was a full-height monument). It was opened on the next day after the death of Ilyich, on January 22, 1924. The highest monument is located in Volgograd. The entire height of the pedestal occupies 30 meters and Lenin sculpture’s occupy 27meters. This creation by Yevgeny Vuchetich is recorded in the Guinness Book of Records as the tallest monument to a living man. The second largest monument is located in Dubna’s wharf: its height is 25 meters. There is a similar one on the other bank of the Volga river, but its pedestal is empty. Previously, Stalin once stood opposite Lenin. Antarctica. 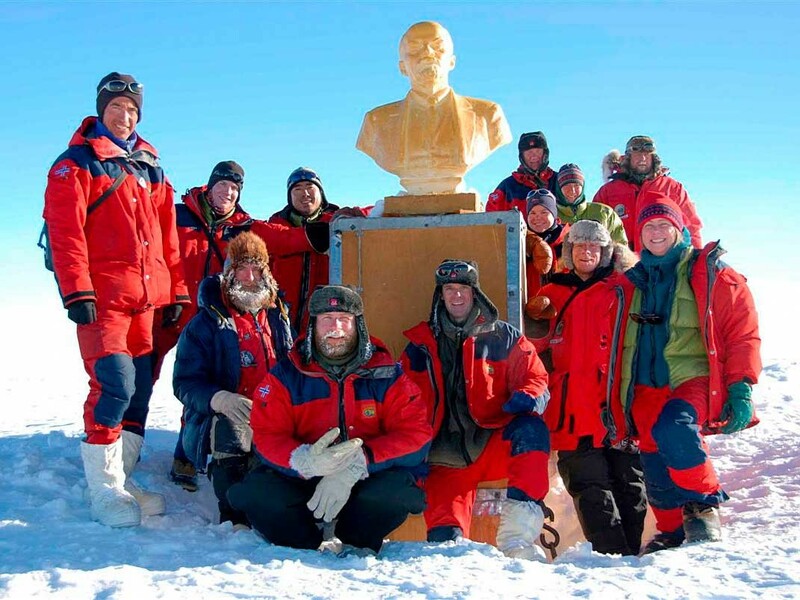 In 1958, the third Soviet Antarctic Expedition led by Evgeny Tolstikov founded the "Pole of Inaccessibility" station here, 463 kilometers from the South Pole. That was where a monument to Lenin looking towards Moscow was erected. It is visible even from space. 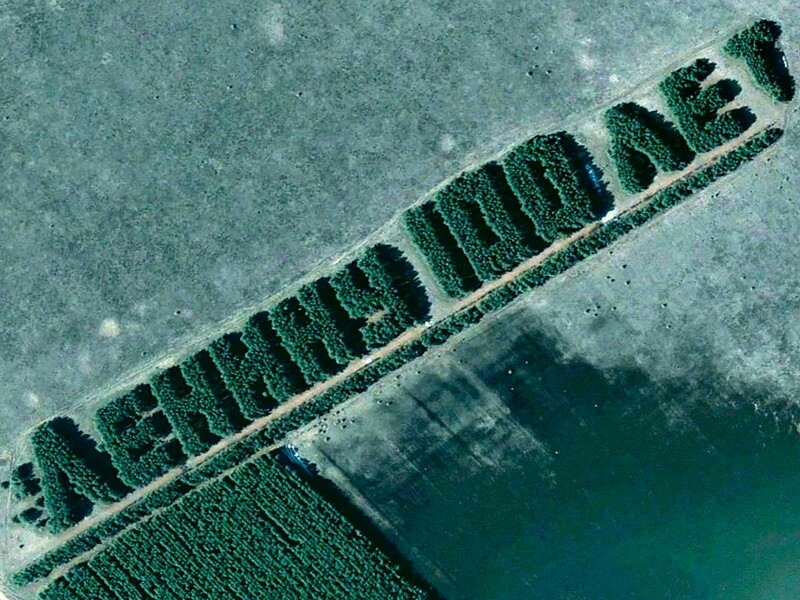 Forty years ago, between the Trud and Znanie settlements, on the border of Siberia and Kazakhstan, Alexander Kanschikov, the chief forester of the Zverinogolovskoye forestry planted trees forming huge letters saying "Lenin – 100 years," which required one million seedlings. The letters’ height was one hundred meters, their width was fifty meters. The letters were discovered relatively recently, using Google Earth. In August 2011, a few months before his death, the North Korean leader Kim Jong Il paid a visit to Russia, where he bowed down to the monument of Lenin's head. 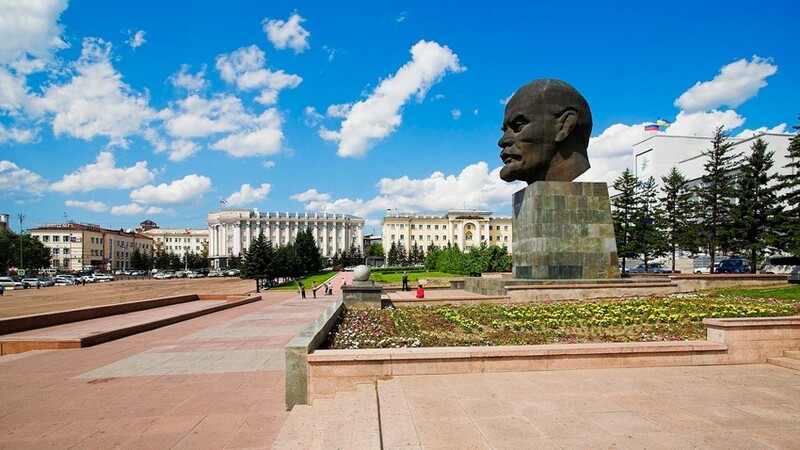 The biggest Lenin's head in the world is located in the capital of Buryatia, Ulan-Ude. The sculpture has dimensions of 7.7 x 4.5 m and a weight of 42 tons. The head of an impressive size was created in the Mytishschinsky stone-cutting factory in 1971 and erected in front of the Republic of Buryatia Government House in honor of the centenary of V.I. Lenin’s birth. Later it was repeatedly planned to dismantle the sculpture, but in the end, not only was it not dismantled, but on the contrary, it was restored. The city’s residents even knitted a huge hat with earflaps. By the way, the Federal system for address information published a list of the most popular street titles in Russia. 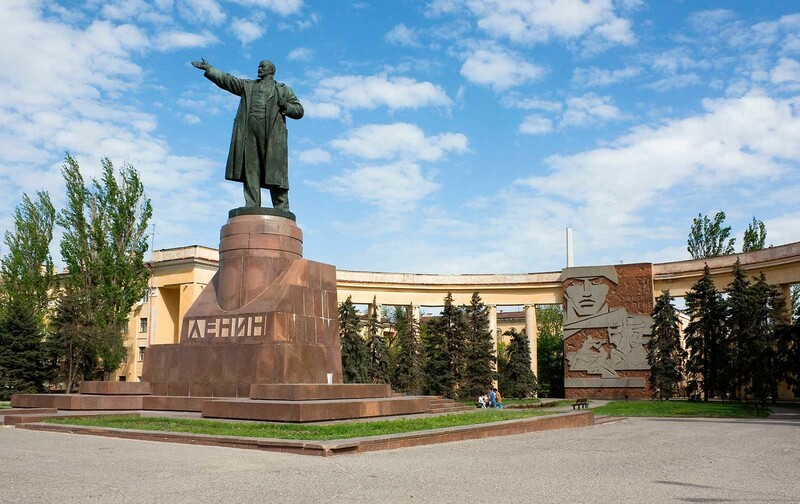 Among the historical figures, in honor of whom the streets were named, Lenin is still the most popular one – there are still 7674 streets bearing the name of the leader of the revolution remaining in the country, although their number is gradually decreasing. In the second place, just after Lenin, is the first cosmonaut Yuri Gagarin.